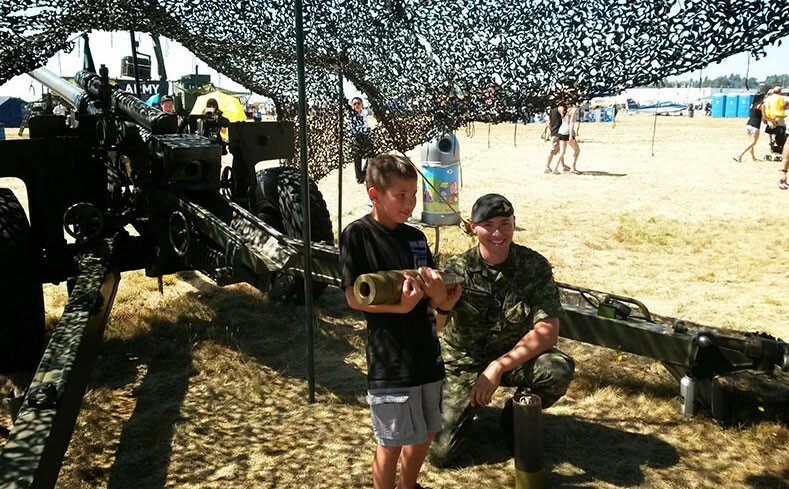 On the 8th, 9th and 10th of August, members of The 15th Field Artillery Regiment, RCA participated in the weekend long 2014 Abbotsford International Airshow. The show was a great success with hundreds of thousands of spectators visiting throughout the weekend to see performances by the Canadian Forces Snowbirds, the CF-18 Hornet and the Skyhawk’s, as well as to take part in the many interactive displays set on the ground. Among these, the local Reserve units of 39 Canadian Brigade Group provided an opportunity for spectators to interact with military equipment and personnel. 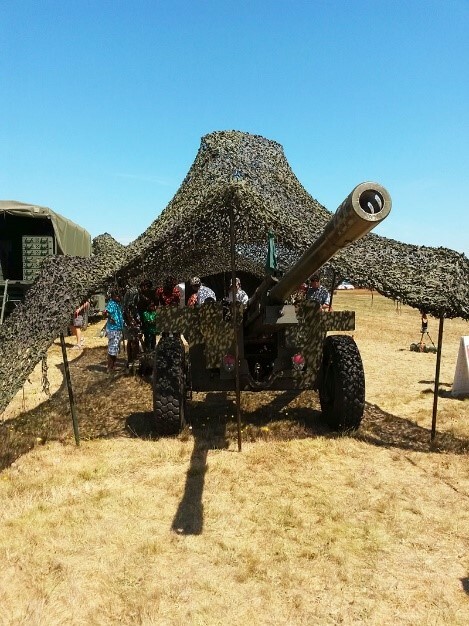 The 15th Field Artillery Regiment, RCA was among one of the units present at the show, allowing the public the chance to get up close with the 105mm C3 Howitzer and speak to members of the unit about life in the reserves and the artillery. Members of the unit posed for pictures alongside the guns to provide spectators at the show with lasting memories.